Lonnie Allgood’s Dreams for Kids Inc. foundation and the Ocean City Education Foundation teamed up for an unforgettable night of fun and laughter in a variety of games pitting former NFL players against Ocean City All-Stars. Dreams for Kids is a nonprofit whose mission is to help build children’s character by giving them the tools they need to believe in themselves and respect others. 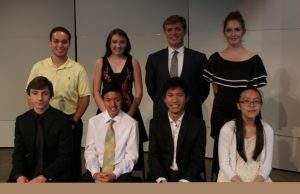 A large part of their mission is interaction with current and former professional athletes as mentors and inspiration. 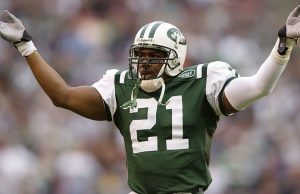 The roster for the NFL All-Stars included former players of the New York Jets, Denver Broncos and Indianapolis Colts – Kareem Huggins, J’vonne Parker, Chad Plummer, Aaron Beasley and Michael Campbell. Included in the all-stars was also former NBA player Horace Jenkins of the Detroit Pistons. 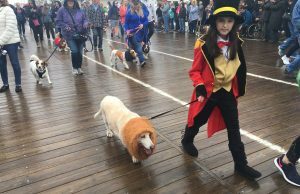 As spectators gathered, beauty queens adjusted their crowns, and basset hounds assumed their parade positions, one question seemed to linger in the minds of many: “Will we beat the rain?” But the 34th annual Doo Dah Parade took place on Saturday afternoon despite forecasts of possible showers. 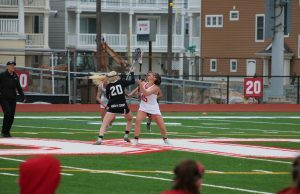 The Ocean City High School girls’ lacrosse team defeated the Egg Harbor Township Eagles, 20-6, Friday evening at Carey Stadium. The 19th ranked Red Raiders improved to 6-1 (2-0 in conference play), while EHT dropped to 4-3 overall (2-1 conference). Ocean City Senior Danielle Donoghue contributed five goals and two assists while teammate Emily DiMarino added six goals and one assist. 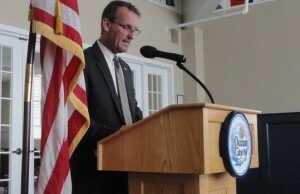 Mayor Jay Gillian pays tribute to four late people who were a major influence in the Ocean City community. They include Father Edmond Speitel, Fred Hoffman, Judy Kolea and Bob Wilent. Gillian’s Wonderland Pier announced a new 10-year partnership with local bottler Liberty Coca-Cola Beverages, making it the exclusive beverage provider at the Ocean City family amusement park. The new partnership also comes at a significant time for Gillian’s Wonderland Pier as it celebrates its 90th anniversary this season. 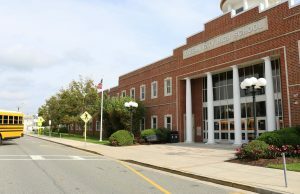 The Friends of the Ocean City Pops will sponsor its ninth annual Esther Weil Music Competition for local high school students at 4 p.m. Wednesday, May 1 at the Ocean City Music Pier. The event is free and open to the public. The contest will feature three categories this year: vocal, instrumental and piano. Cash prizes will be given to the top three winners in each category of $1,000, $500 and $250. Students must be living in or attending high school in Cape May County or Atlantic County to enter the competition. 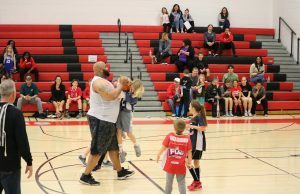 NFL players will take on Ocean City All-Star students, parents, teachers and community members in a basketball fundraiser Saturday, April 13, at Ocean City High School. Proceeds benefit Lonnie Allgood’s Dreams for Kids and the Ocean City Education Foundation. The basketball game starts at 7 p.m., while a VIP meet-and-greet with the players is set for 6 p.m.
Students from Cape May and Cumberland Counties flooded High Street in Millville on Friday, April 5, for the very first Cape May & Cumberland Counties Teen Arts Festival, according to a Cape May County release. 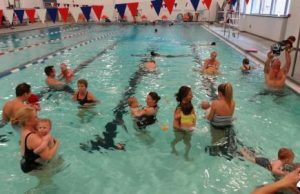 More than 120 students from Cape May County joined the event representing four area schools: Ocean City High School, Wildwood Catholic High School, Middle Township High School and Richard M. Teitleman Middle School. Students had opportunities to perform their craft in front of their peers and receive professional adjudication in person and in writing, while their visual artwork hung in gallery space for the entire festival to view. 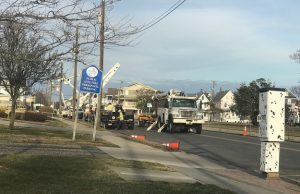 Atlantic City Electric will continue with service upgrades causing temporary power outages in different parts of Ocean City. Following are the locations and days for outages scheduled during the week of April 8-12. Skaters Take Back the Night in O.C.